Customer loyalty is key in the restaurant industry. Word-of-mouth and social media postings, good and bad, have helped and ruined many a restaurant. The old saying – we’ll tell 11 people about a bad experience, but only three about a good one, is never truer than in the restaurant business. Restaurants simply cannot survive on first-time diners. It’s essential that good food and great customer service drives repeat business and successful restaurants. The good news? There’s hardly an industry that can resolve a bad experience better than the restaurant business. Here are some customer service tips that will inspire customer loyalty and repeat business for all restaurants. The easiest customer service fix is offering a free drink when the smallest thing goes wrong and a complimentary dinner when things go terrible wrong. Is losing a $75 dinner worth the customer never coming back? Probably not. A complimentary fix almost always drives repeat business. If you truly seek repeat business, then you should definitely consider a training program. It’s sad how many restaurant owners and managers do not train their employees. They wing-it. Waiters must be trained how to deal with everything from a disastrous meal to a demanding customer. For example, Tony’s in St. Louis, Missouri, a five-star world class restaurant, holds training meetings every night before they open. Same for Emeril’s in New Orleans. Why? Because they know one little customer service fail can cause a bad night and a loss of repeat business. The sign that says “wait to be seated” can be re-worded to “our Host would like the pleasure of showing you to your table.” Or something more user friendly. “Wait to be seated” is so negative. When a customer walks into a restaurant they should be greeted immediately. Any greeter that does not acknowledge their customers should be removed from the position. You have one chance at making a positive impression. The greeter must have some training. If they are not attentive, it will leave a lasting negative impression. Every waiter should always introduce themselves by name. Telling the guests your name is very important for a pleasant dining experience and personal contact. And when a guest makes a reservation, everyone from the greeter, to the bus boy to the waiter should use the diner’s last name. Can I seat you Mr. Jones? Would you like a drink Mrs. Jones? Using last names is memorable and leaves a positive customer service impression. If a meal takes special preparation or there is a meltdown in the kitchen, be sure to tell the diners a realistic wait for their food. “It shouldn’t be long” is not realistic. Tell the truth. A complimentary cocktail or small appetizer can make the wait go smoother. Sadly, many a waiter only takes an order or brings food. Be sure to visit the table at least once – how is everything, so far? – shows you care about your guest. Reservations need to be honored. And if for any reason, being seated at a table will be delayed, be honest, explain why, and offer a complimentary appetizer or drink. Reservations should be respected and if they can’t be met, make amends immediately. Most people like to know the owner. If the owner is on site it’s a great idea to wander through the restaurant and stop to introduce yourself. The late baseball great Stan Musial, owner of Musial’s Restaurant in St. Louis, always made it a point to walk the room and meet his guests. And he never minded when they asked to take a photo with him. Meeting the chef is also good idea. It’s a nice plus to talk with the person who prepares your meal, and the chef often gets important feedback from diners. And one final way to leave a lasting positive impression – noise level. Who wants to dine with a spouse, special someone or in a group and nobody can hear each other? Restaurants that are aware of noise levels and address those issues almost always see repeat diners. I’ve heard from many friends who avoid dining at otherwise fine restaurants because of the noise level. Remember, the customer is not always right. The customer always “thinks” they are right. So, make sure you provide positive and memorable customer service and your restaurant will be filled with many happy repeat customers. 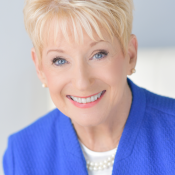 Nancy Friedman is president of Telephone Doctor Customer Service Training in St. Louis and a featured customer service trainer and speaker to dozens of industries including the restaurant business.